A contact lens exam is a little bit different than a regular eye exam in which the health of your eye is checked and eyeglasses are prescribed. For good vision and comfort with contact lenses, the curves on the front of your eye must be mapped and then your eyeglass prescription must be converted into a contact lens prescription. During your contact lens exam, Dr. Adelman will use an instrument called a keratometer to take these measurements. Then, he will calculate the best contact lens for your eyes taking into account these measurements as well as aspects of the contact lens itself, such as wear-cycle, material, oxygen transmission, and results of clinical research studies. If you are a current contact lens wearer, Dr. Adelman will evaluate the way your current lenses are affecting the health of your eyes and vision, and determine if the current lens, cleaning system, and wear-cycle needs to be modified or can be continued. You will be able to discuss any new contact lens options available since your last visit, and Dr. Adelman will fit you with a diagnostic contact lens to assess the suitability of any changes made to the type or prescription of your contact lenses for the upcoming year. 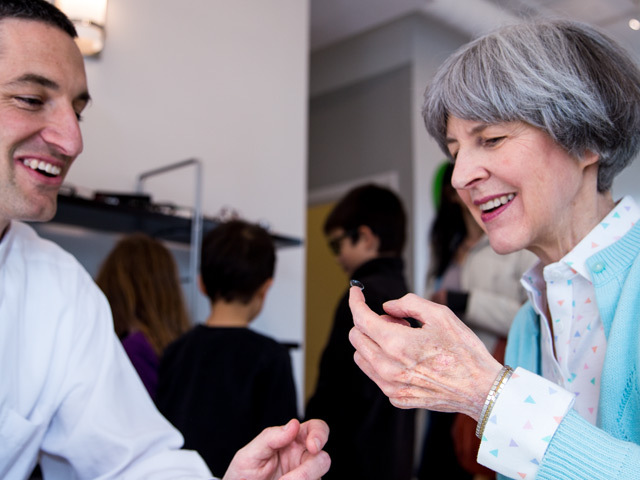 If you are a new contact lens wearer, Dr. Adelman will educate you in both the theory and practical aspects of contact lens insertion and removal, and you will then be given a chance to practice inserting and removing the contact lens with gentle coaching from Cindy. After you have mastered this fine art, you will generally be given trial contact lenses to try out in the real world for about a week before returning to our office for a follow up contact lens evaluation. We do not charge any fee for this follow-up contact lens appointment, but we think it is important because it allows us to make sure the lenses work as well for you after a week in the real world as they do during your initial exam. We are particularly proud of our ability to fit patients with astigmatism, dry eye issues, and multifocal prescriptions. Additionally, Dr. Adelman has a special interest in contact lens fittings to restore vision in cases of eye disease that effect the ocular surface such as keratoconus or in cases or corneal transplantation.